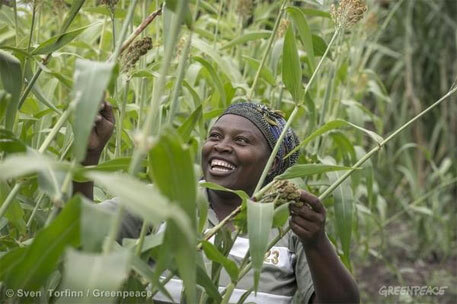 Farmers in eastern Kenya’s Wote are gradually shifting from growing maize to sorghum. The reason they say for the shift is higher nutrition, yield per hectare and price. The farmers believe that the shift can work wonders in the area where just two per cent families are food secure round the year. The confident farmers are betting on an indigenous sorghum variety that has been developed by the Kenyan government. The variety, so far used by 3666 farmers in Wote, is drought resistant. “Sorghum adapts well to a wide range of environmental and soil fertility conditions and is considered to be one of the “climate-change ready” crops. Also, sorghum and legume cropping systems have inherent resilience to drought and therefore enhance food and nutrition security for households in the drylands,” says Patrick Sheunda, research assistant at ICRISAT—the government body that is sourcing the variety to the famers. It is time that our governments should also encourage minor millets -- nutrient rich, pollution free food --. Instead of dumping chemical fertilizers and causing air, water, soil and food pollution with huge subsidy. The governments rarely helped the dry-land farmers with 60-65% of the area is still at the mercy of "Rain God". Also, the government must encourage cooperative farming under medium and minor irrigation and rainfed agriculture. This is the only solution to overcome nutrient deficiency among Indians and reduced obesity & diabetics.